thinking bowl raced away for four.In the meantime, Abhinav Mukund took the bails off and appealed for a runout. Umpires checked the replays and declared Bell as out. 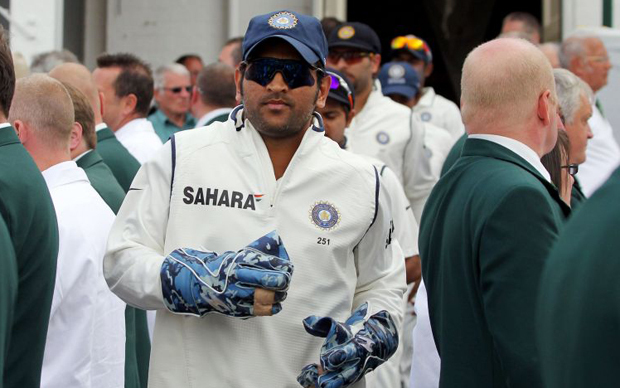 During the break, England captain Andrew Strauss and coach Andy Flower requested Dhoni to withdraw the appeal. The Indian captain withdrew his team's appeal and decided to call back Bell. This gesture made the touring team receive the standing ovation. Dhoni was hailed for upholding the spirit of the game and he won the ICC Spirit of Cricket award for that year.